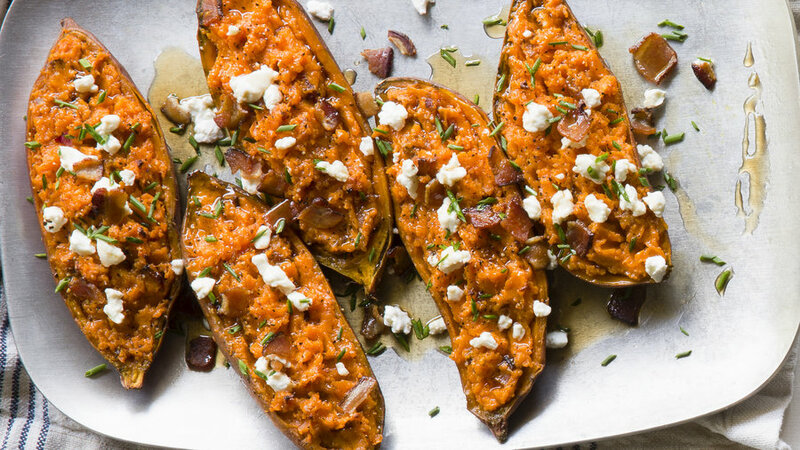 Melted brie, crushed pistachios, and savory diced pancetta top off these gluten-free "toasts" that are bound to disappear from a fall party platter in moments. 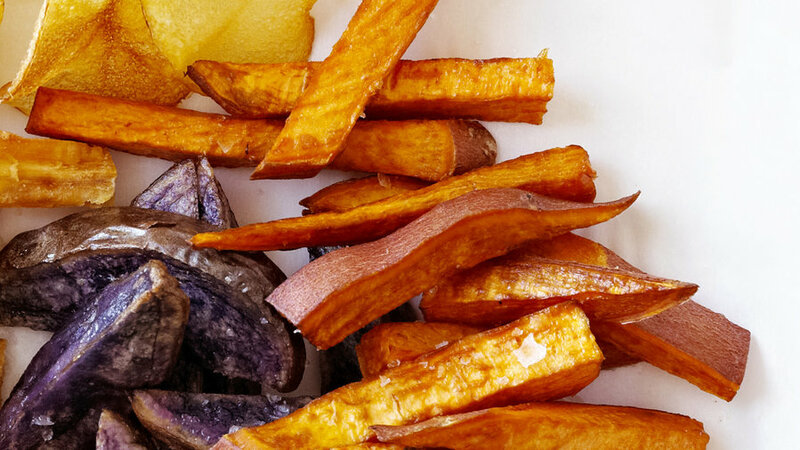 This easy recipe will delight those of us who prefer sweet-potato to regular fries. 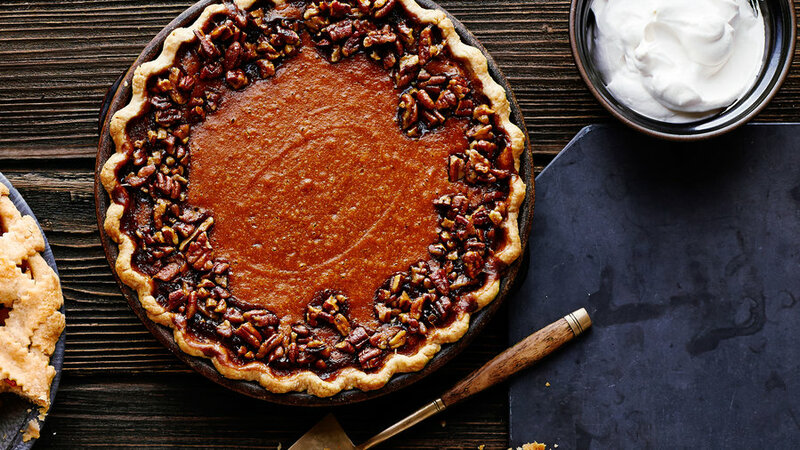 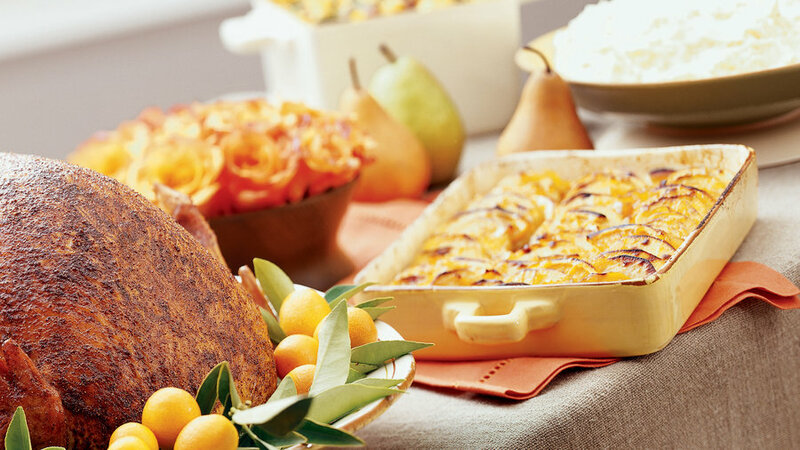 The seasoning blend called Chinese five-spice adds a warm note without pushing the apples into pie territory, and the apples are tart enough to balance the flavor too. 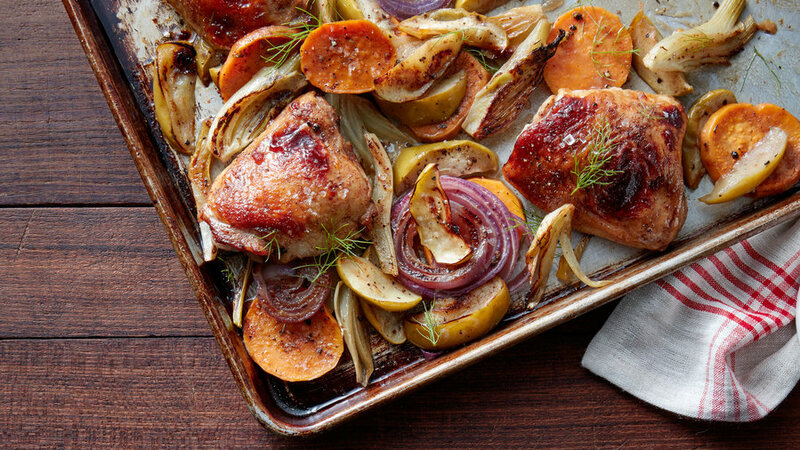 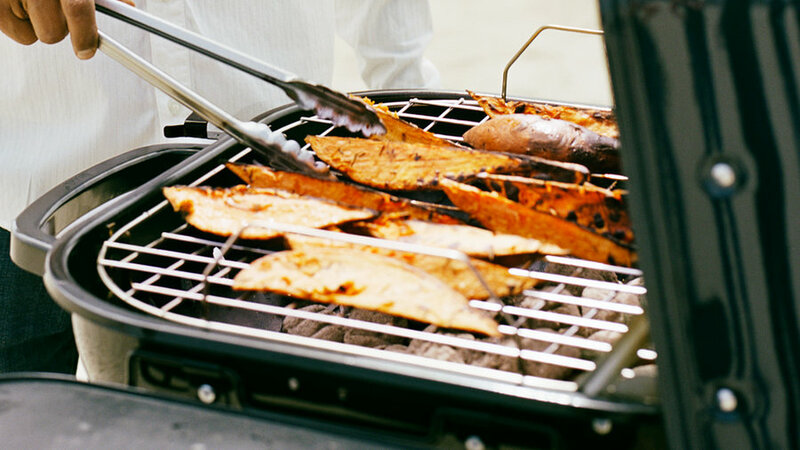 Roasting ingredients together on a sheet pan saves time and reduces cleanup. 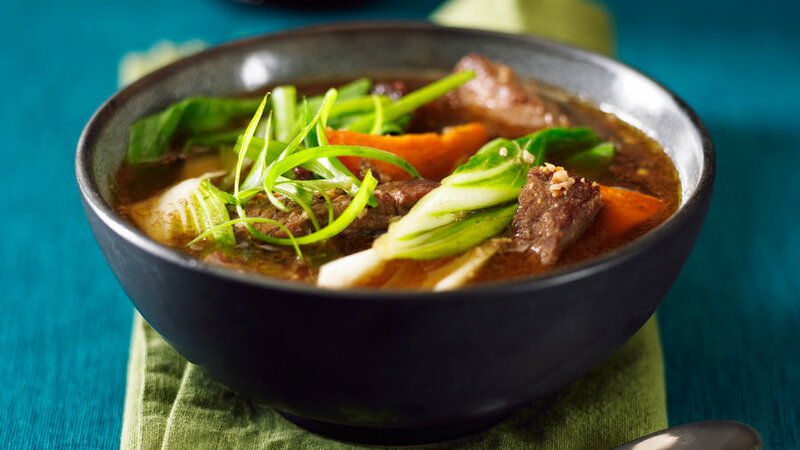 Chinese five-spice powder infuses this colorful stew with a warm, anise-y note. 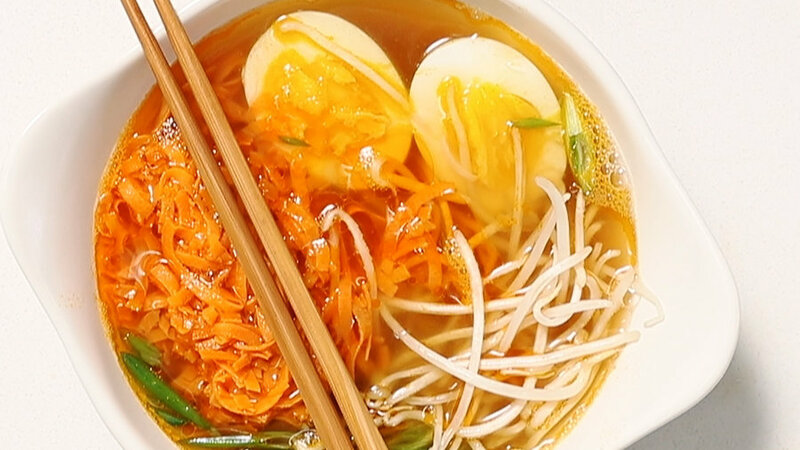 For a healthy take on ramen, substitute sweet potato zoodles for the traditional wheat noodles. 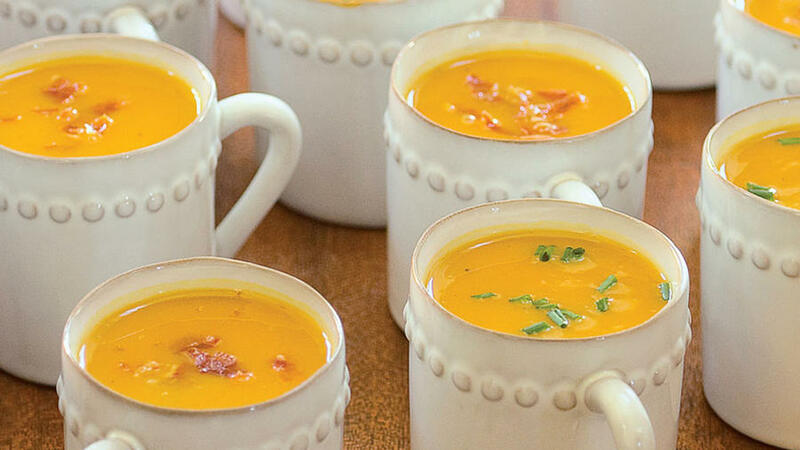 Served in demitasse cups, this sophisticated little soup makes an easy-to-handle big-party hors d’oeuvre. 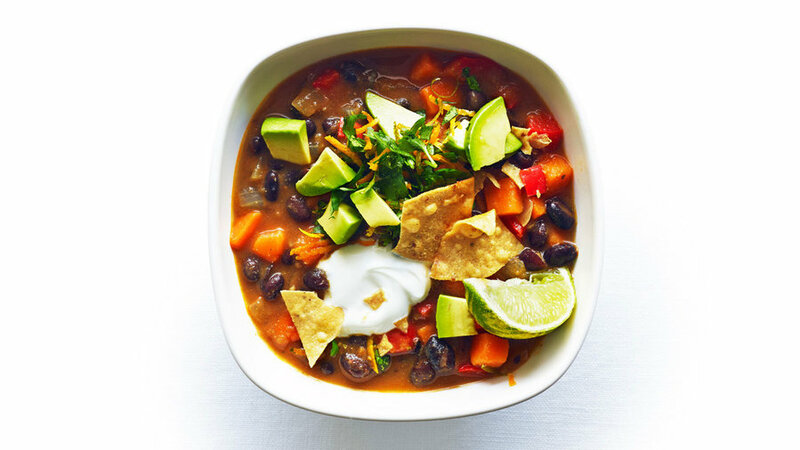 For a purely vegetarian soup, garnish with chopped chives. 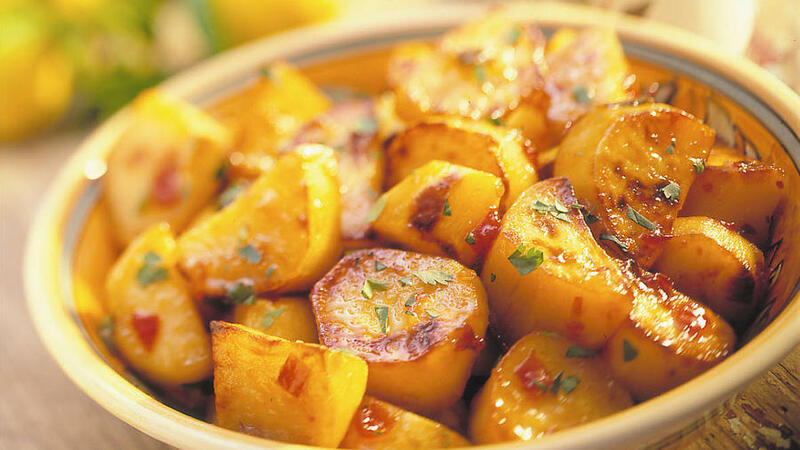 This dish works well with grilled pork and a salad, or as a Thanksgiving side if you take your menu in a grilled direction. 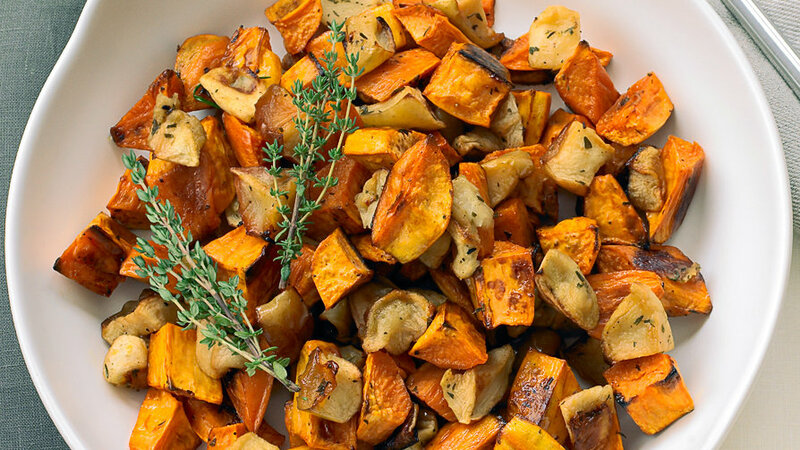 These latkes feature sweet potatos, parsnips, and shallots, making them ideal for Hanukkah celebrations. 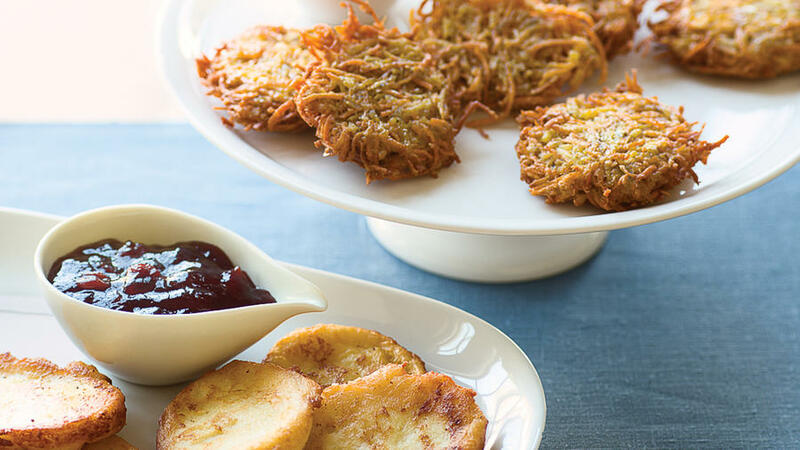 Gingered sour cream complements the latkes perfectly. 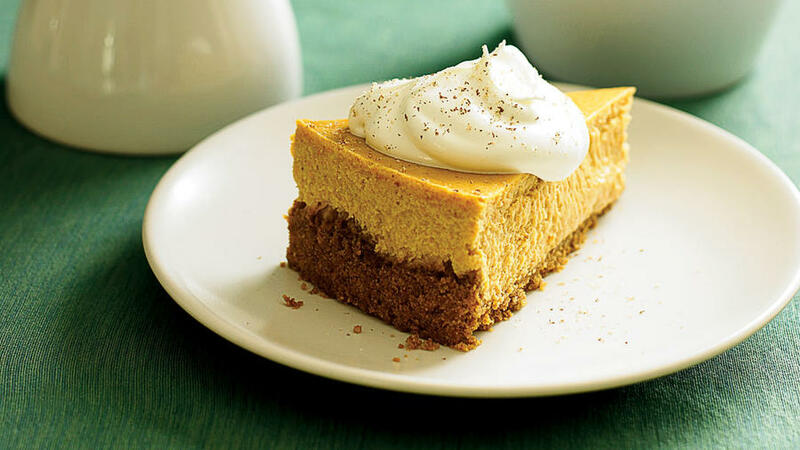 This prize-winning cheesecake from a Sunset reader is one of our absolute favorites. 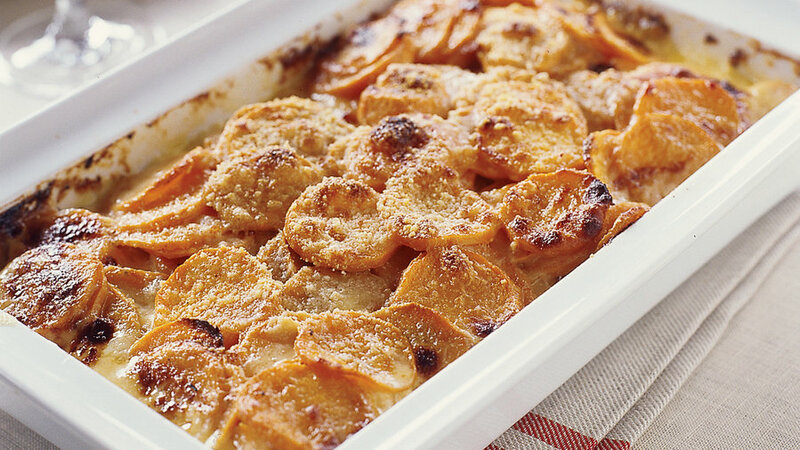 Creamy and moist, with just the right amount of sweetness, this dessert will wow your guests. 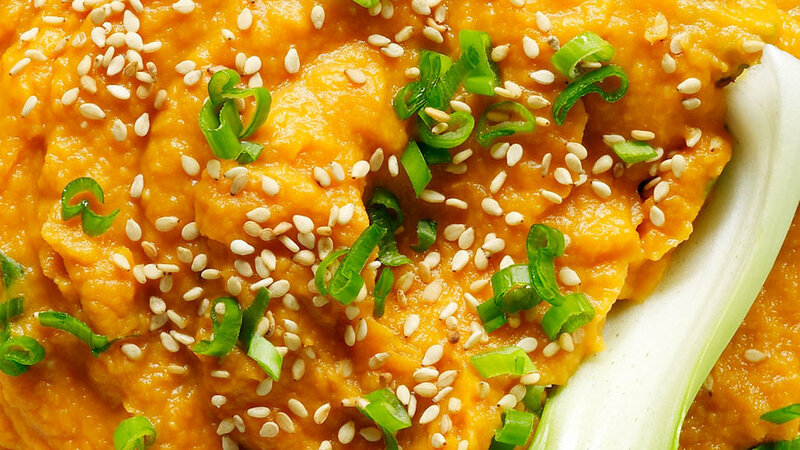 Spicy red jalapeno jelly plays perfectly against sweet potato's sugary flavor in this easy side dish. 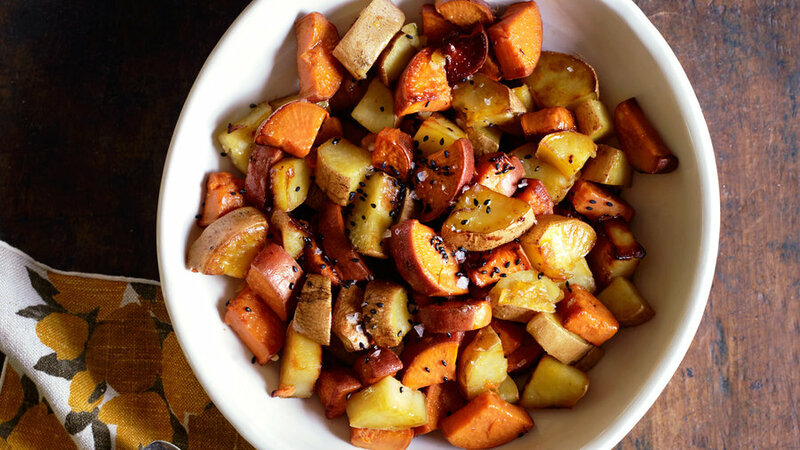 This simple recipe highlights the sweet potato's bright flavor with hits of orange and ginger. 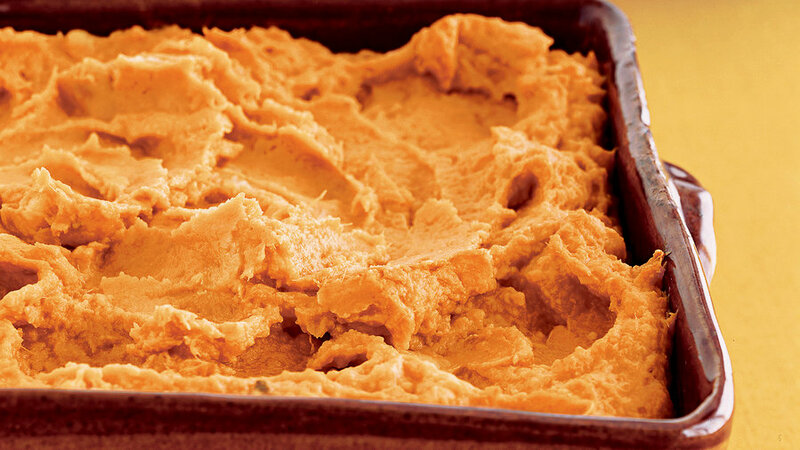 Dried apricots and a hint of bourbon are mashed with creamy sweet potatoes in this crowd-pleasing side. 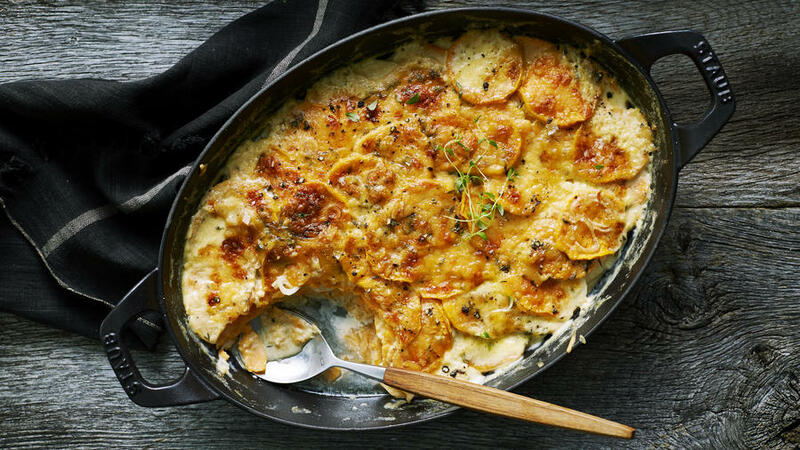 Both orange sweet potatoes (such as Garnet and Jewel varieties) and white sweet potatoes work well in this dish, but the vibrant orange ones bring a splash of color to the table-freshly grated parmesan cheese makes the dish stand out.